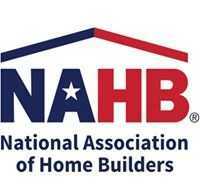 “The report released today by the Harvard Joint Center for Housing Studies highlights serious affordability problems for many of America’s renter households, and NAHB supports many of the policy initiatives outlined in the study to meet this ongoing challenge. “Of primary importance, efforts to reform the housing finance system must include a federal backstop to maintain broad liquidity during all economic cycles and ensure that rental housing can continue to be built and preserved. “It is clear that the federal role in ensuring the availability of financing for multifamily rental housing for low- and moderate-income households is critical. Other ways to reduce the costs of providing affordable housing must be pursued as well, such as strengthening the Low Income Housing Tax Credit program, removing regulatory barriers to construction, providing gap financing to help reduce construction costs, streamlining program rules and allowing agencies to align administrative procedures across programs.